The anticipation for Ohio State spring football is always tremendous. 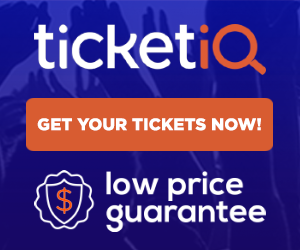 Tickets for the April 16th spring game are already on sale, with the game two months away. Ohio State just signed an impressive recruiting class for 2016, with seven of the players already enrolled, planning to participate in spring drills. How does this involve the late, great Glenn Frey, former member of The Eagles? In February 2015, Ohio State signed a talented group of players, with the vast majority redshirting throughout the 2015 season. When I write “vast majority”, I am citing the fact that 21 out of 25 players did not see game action. That amounts to 84% of the 2015 recruiting class. At quarterback, Joe Burrow has already been named the backup quarterback heading into spring drills. If you think backup quarterback is unimportant, I suggest you go look up the following football season – Ohio State, 2014. At running back, Mike Weber will throw his hat into the ring to replace early NFL Draft entry Ezekiel Elliott. Weber is one of the members of the 2015 recruiting class who possibly could have played in 2015, if not for an injury that required surgery during fall camp. At wide receiver, converted quarterback Torrance Gibson, Alex Stump, and K.J. Hill will all battle to impress the coaching staff. Considering Michael Thomas and Jalin Marshall have also declared for the NFL Draft, here is a position group that is open for players to contribute. Tight end? Nick Vannett has moved on, with Marcus Baugh the only returning tight end with any game experience. A.J. Alexander and Rashod Berry will want to seize the moment, as Ohio State signed three tight ends in Kierre Hawkins, Jake Hausmann, and Luke Farrell who will arrive on campus this summer. Offensive Line? This was an impressive haul last February, with Grant Schmidt, Kevin Feder, Matthew Burrell, and Branden Bowen…who all redshirted. There are three spots open on the line. Two open spots along the defensive line should loom large this spring. Jashon Cornell, Dre’Mont Jones, Joshua Alabi, Robert Landers, and Davon Hamilton may all be in the mix here. Two open linebacker spots, with plenty of opportunities for playing time. Nick Conner impressed in the 2015 spring game, but redshirted due to injury. Justin Hilliard was arguably one of the most recruited players in the class, and redshirted from injury also. The secondary? Talk about an opportunity, with three open spots, including both safety positions. Joshua Norwood and Damon Arnette can throw their hats into contention. Don’t forget Ohio State signed a long-snapper last winter. Liam McCullough may be the easiest of the 2015 redshirt freshmen to target for a starting position, as Bryce Haynes has exhausted his eligibility. The Opening, held each year at Nike’s headquarters in Oregon, is a prestigious event held for the best of the best in high school football. Neville Gallimore, with his participation, became the first Canadian prospect to play in the event. 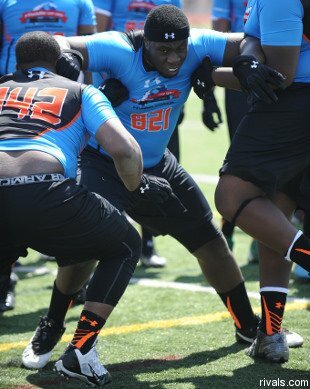 Gallimore, as we all know, dominated the Columbus NFTC and as a result, was invited to this all star challenge. He is not only showing off his skills for himself, but wants to prove to people that Canada has a lot of talent, just like the United States. The Opening was his chance to show the nation why Canada deserves a fair shot at gaining credibility for football. Gallimore, of course, did not disappoint, and he was able to enjoy every moment of it. Gallimore is a huge prospect. Gallimore’s roommate was non-other than Ohio State’s very own Jashon Cornell. Of course, this is a time to enjoy but Cornell was recruiting him here and there. He told me that he got to spend some time with both Cornell and Justin Hilliard, and not all of the conversations were about football. They have truly built a good relationship off the field as well and it has helped Ohio State’s chances for landing the big target. Gallimore talked a little bit about how their friendship helped Ohio State. As for the rest of the summer, Gallimore is unsure of what visits he is going on, but is hoping to come to Ohio State for Friday Night Lights. He has just been invited to and accepted an invite to the Army All American Game and is very excited for that. Gallimore is still pretty open in his recruitment and is enjoying everything about it. I like Gallimore a lot as he is very humble and talented. I recently had the chance to interview the top prospect in Ohio for 2015 and one of the top LBers in the entire country. Justin Hilliard is a High 4 star Linebacker from Cincinnati, Ohio. He is one of the best players in the country and holds offers from Ohio State, TTUN, Notre Dame, Miami of FL., Texas A&M, and many others. 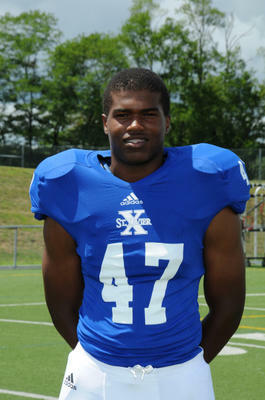 247sports ranks him a 4 star and the 43rd best recruit in the country. ESPN ranks him a 4 star and the 145th best recruit in the country for 2015. This kid is being recruited hard by many of the top schools and his skill set is one that is coveted by everyone. Based on his interview below though you can argue he has no favorite at this point and that his recruiting is wide open. Being an Ohio resident doesn’t seem to give Ohio State the inside track as he has moved all over. Most experts are predicting him to follow his brother to Iowa which sounds crazy but could very well happen. Here is the interview I had with him and I want to thank him for taking the time to do this interview with us. SYR- If you could please tell us about your home life… Parents, brothers and/or sisters, where you were born, Have you always lived in in the same place? Justin- I have one brother, CJ, committed to Iowa, and I live with my mom and dad. I was born in Cleveland, Ohio. I moved 5 different places. SYR- Can you give us your current stats such as height, weight, 40 yard time, bench press, etc? SYR- Tell us a little bit about your HS FB team such as record and defensive style. SYR- What are your goals for the upcoming season? SYR- You have offers from all over the country which one was the most exciting for you to get and why? SYR- Who would you say is your personal hero and why? SYR- If you were going to die tomorrow what would your final meal be? SYR- Who do you think you compare to most in the NFL or College right now? SYR- Who is your favorite College player of all time? And favorite NFL player of all time if different from College? SYR- Do you have a top 5 yet and if yes who are they? SYR- Do you currently have a leader? SYR- Do you know when you would like to announce your commitment, if yes, when?